Chrome plated mounting bezel and retaining nut. Complete with lead wire and mounting hardware. 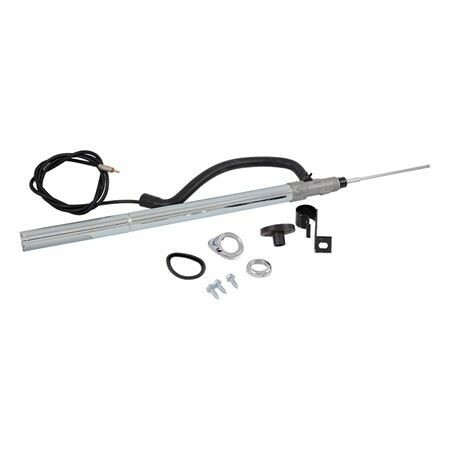 Includes aerial, cable assembly, mounting pad, chrome cover, rubber grommet, cable retainers and fasteners.